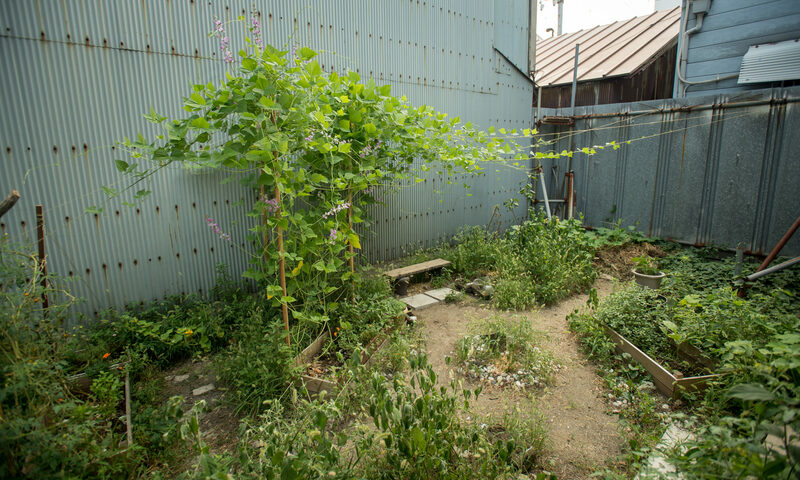 A typical, old Japanese neighborhood, Kitakagaya has a few urban farms, and other various nooks and crannies hiding all sorts of herbs and edible wild plants (also known as ‘weeds’ to some). 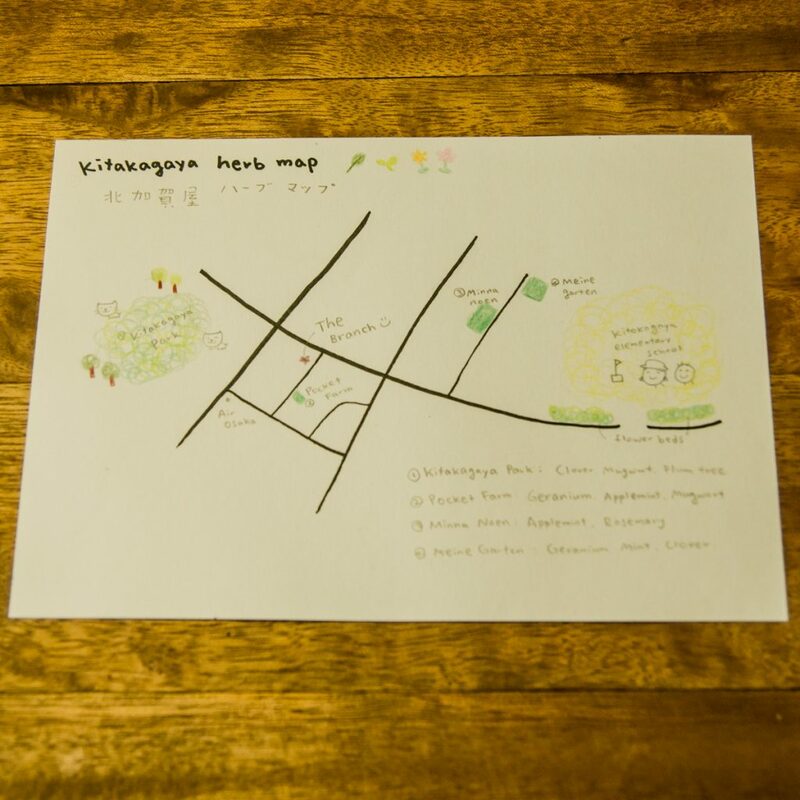 For our urban herb foraging event, Suhee prepared a ‘herb map’ of the neighborhood, and slowly guided our participants on a walk to discover these plants, and how we can use them. With freshly picked herbs like geranium, rosemary, apple mint, mugwort, and clover, we brewed herb tea. Participants were amazed how “oishi” (delicious) something could be that was picked from cracks in the sidewalk! At night, Patrick took over, opening an informal “herb whiskey tasting” event using the same concept. 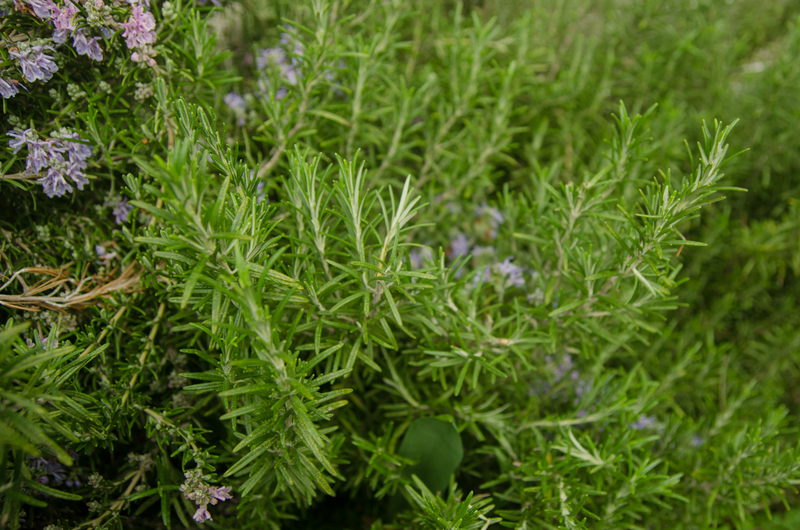 Plants which were gathered from the neighborhood and dried, were used to create herb-infused whiskey. 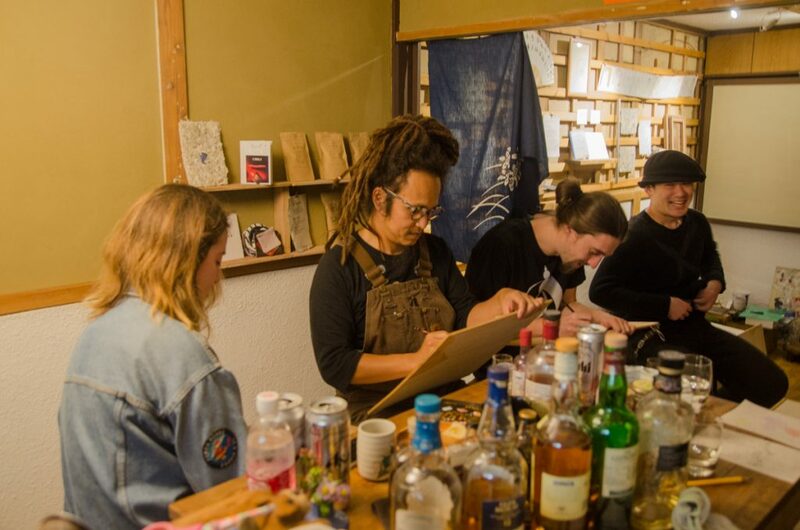 Participants on this occasion happened mostly to be artists, and so we engaged in a challenge to “draw the taste” of the herb tinctures. 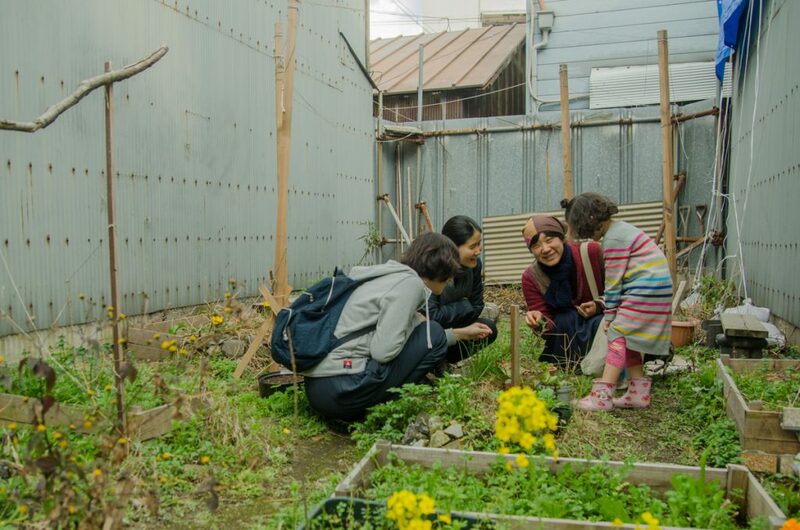 The Branch will continue our herb foraging events regularly here in Osaka, as we discover together, the changing tastes of herbs and weeds throughout the seasons. Stay up to date by following us on Facebook or Instagram. You can also book events with us for groups of 2-10 people, or, just drop by to say hello during our open hours, normally noon-6pm, Thurs-Sun.